Already own a home in the Eastern Shore Parkway subdivision? Thinking of selling? Click here and read about current search trends & our web network. Eastern Shore Parkway is the road that parallels Mobile Bay and runs mostly North and South on the East side of the bay. Some of the homes in expansive area are on the water, some are on large parcels of land and there are also smaller homes. Eastern Shores Parkway is not so much of a subdivision as it is a way to describe a large area that is reached from Scenic Hwy. 98 or County road 1. 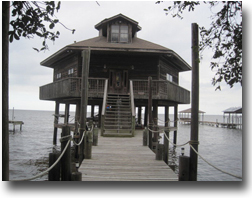 The homes in this area are close to downtown Fairhope and a quick drive to Pensacola, FL and Mobile, AL. Both of these cities are approximately 30 minutes away and have regional airports and a plethora of restaurants, nightlife and other entertainment venues. If you need further info, have questions or would like to schedule a viewing for any of the homes for sale off of the Eastern Shore Parkway or any other properties in the area, please email info@condoinvestment.com or call (251) Area-Pro (251-273-2776) for immediate assistance.